Welcome to the new Hell on Earth! All are welcomed! All are Welcomed! It’s always a good idea my book to keep an eye out for published meteorological/climate statistics, especially where it concerns our approach to a ‘hell on earth’ scenario. Not that us humans need anyone to tell us how crazy the weather’s been over the past few years, but then the anecdotal frog in boiling water comes to mind and well I, personally, would love to have some prayer time before the ship actually goes below surface if you know what I mean. Regardless, it’s getting hot, it’s been hot and it doesn’t appear to be stopping anytime soon. Mind you, the above is a reference to the global average temperature for the year which increased by 2.0 degrees Fahrenheit. Yet, what about the United States specifically? 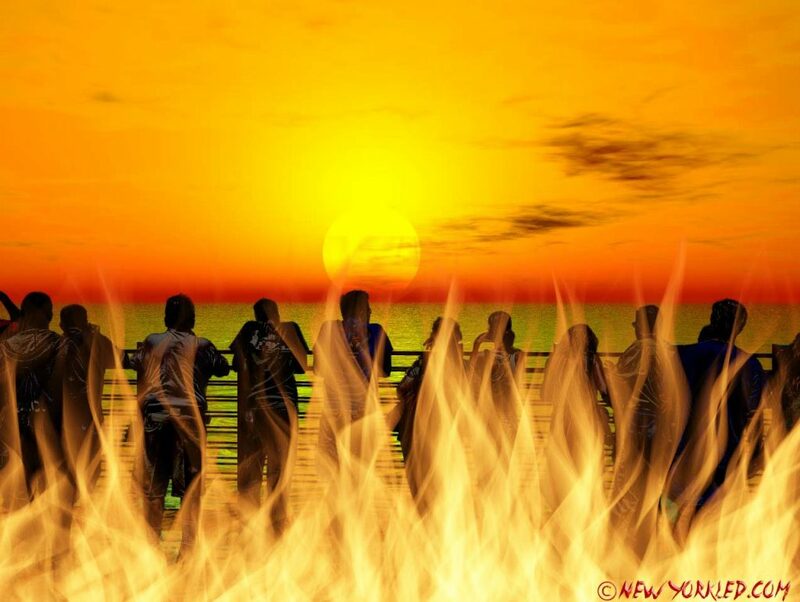 The NOAA (National Oceanic and Atmospheric Administration) states that the average U.S. temperature of 54.9 degrees for 2016 was 2.9 degrees F above average, ranking it as the second warmest year in 122 years of record-keeping. 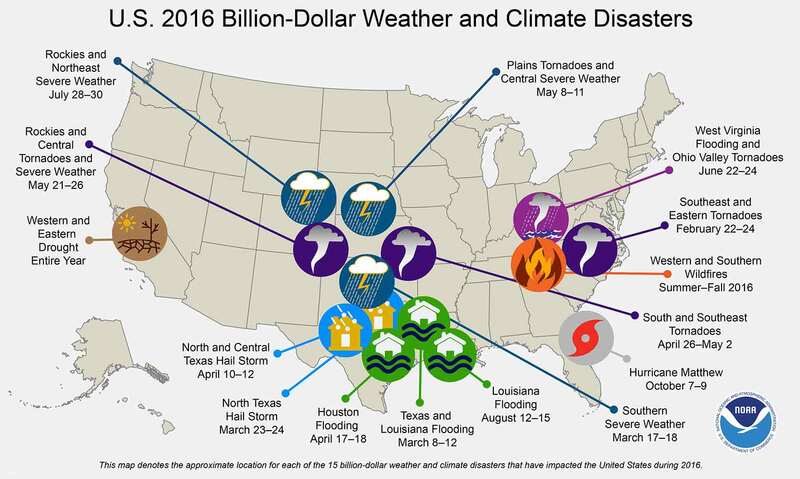 “15 weather and climate disasters caused 138 deaths, $46B in damages”. I’d love to end this write-up with the words “In Closing”, but I can’t. This is merely the beginning of New Yorkled’s coverage, or rather sharing of its findings from official agency and other related organization records. Much of the information is all out there and it’s up to every one of us to sound the alarm regarding the world that’s being left behind for our children. There are those in Executive and Congressional government positions who’ll have us turn a blind eye to what’s truly going on. Don’t! Don’t Do That! For God’s sake, if you love this planet, if you love decency, if you love your children, your nieces and nephews, your younger siblings, then for the love of GOD do not turn away. I assure you, more is to come!